Awaken your Fantasy Island with beautiful blossoms! 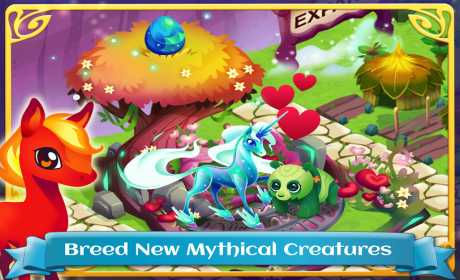 Spring ahead and see the spectacular NEW animals in the Fields of Flowers World Event and more! Can you unlock the secret to breeding the Legendary animals? • Celebrate Spring with all new animals! Welcome Orchid Otter, Jasmine Jaguar, the pretty Petal Peacock, and MORE! • Play through NEW special quests to unlock exclusive animals in new events! • Win prizes with the Spin-to-Win game! 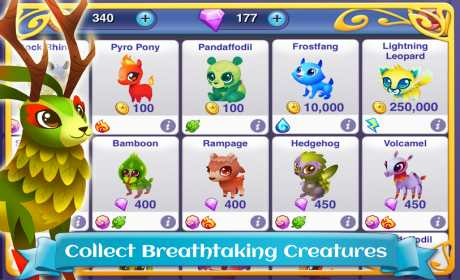 • Breed, Battle, and Collect over 300 unique animals! No two are the same! 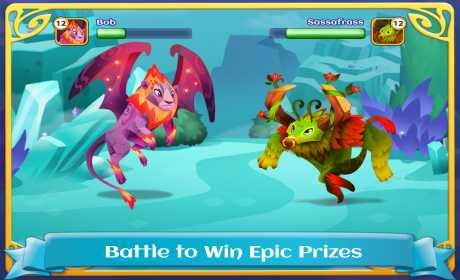 • Challenge your creatures in weekly Tournaments to win exciting animals! • Feed, raise and evolve your animals from adorable babies into noble adults! • Battle through more than 9 regions of uncharted land to defeat and unlock new creatures to raise! • Experience each animal’s cute, unique animations while walking, feeding, flying and battling! • Expand your island to rescue the Frostfang and Lightning Leopard, unlocking tons of new Water and Lightning animals to breed! • Join your friends in World Events to unlock unique personal and community prizes! Fantasy Forest: Flowery Fields is an online only game. Your device must have an active internet connection to play. Please note that Fantasy Forest: Flowery Fields is free to play, but you can purchase in-app items with real money. To disable this feature, go to the Google Play app on your device, tap the Menu button, select Settings > Use password to restrict purchases. Then follow the directions to complete setup. In addition, Fantasy Forest: Flowery Fields may link to social media services, such as Facebook, and Storm8 will have access to your information through such services.